"Thanks to NetGalley, I received a pre-publication copy of this book in exchange for a fair and honest review. As a result of this preview, I have already ordered a paper copy for my 13-year-old daughter, ordered a copy for my middle school library, and suggested that my husband, who is a pastor, order copies for our youth group AND I have offered to lead a book study with that youth group, which I never do! 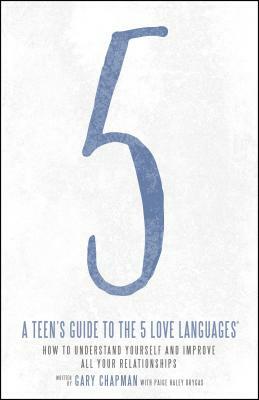 Does this tell you how terrific I think Dr. Chapman's Teen's Guide to the 5 Love Languages is? It should. Dr. Chapman does a wonderful job of breaking down his love languages theory for young people, delving in to what it might look like to love someone through service, words, touch, gifts, and time. Each love language has its own chapter with follow up questions, and chapters are also dedicated to family, anger and apology, and figuring out your own love language. The information and guidance Dr. Chapman provides in this book is perfect for young people in building and maintaining healthy relationships throughout their lives."